Do you need to add options like checkboxes, radio buttons, color pickers, image options, number options, dropdowns, datepickers, image uploads, text boxes and text areas to your products so that you can sell upgrades, sizes, extras, gift options, color choices, etc? That’s exactly what this plugin does. Product options are much easier, more flexible and faster to use than variable products. Instead of generating thousands of variations, you can price the individual product options. To make adding product options to your products even faster, you can use product option groups to add options to multiple products at the same time. Product options have many features like accordions and tooltips that are not available for variations. Why Buy Product Options for WooCommerce? Checkout Option Groups Add options to the checkout page. 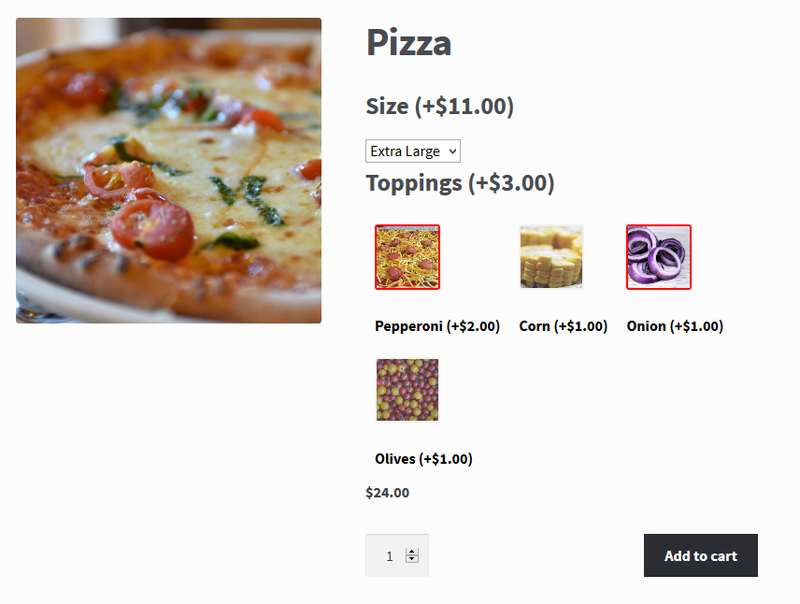 The customer could add information about the order like delivery information with these options. Product Option Groups Add options quickly to all your products/product categories/products by search query and group the options in a box. Product option groups can also be accordioned. 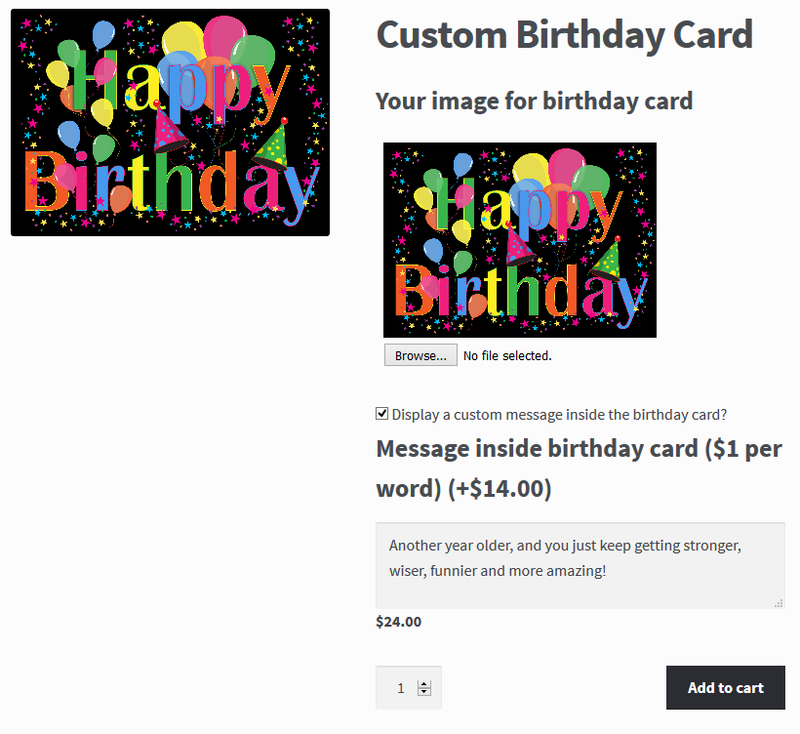 Add Number/Number Slider/Datepicker/Image Upload/Color Picker/Checkbox/Checkboxes Options Product Options for WooCommerce can be used to add options that are not possible with WooCommerce. Add Options Easily Prices are added by attribute rather than by variation so this plugin makes it easy to add an unlimited number of attributes to a product. You can accordion the options so that they can all be seen at once. Display the “Add to Cart” button when the Product Page loads WooCommerce does not display the “add to cart” button until all the product attributes have been chosen. This plugin allows you to get around that. Option Display This plugin allows you to add titles, labels before and labels after the options. You can choose to show or hide the prices. Multiple Selection This plugin allows multiple attributes to be selected at the same time. Required Fields Choose whether an option is required or not. Options on Shop/Category/Search PagesThis plugin allows the customer to choose their options on the pages that list products. Messages on Option Selection Product Options for WooCommerce allows you to display long messages when a checkbox/image/radio/dropdown option is selected. This plugin is also compatible with many popular WooCommerce plugins including WooCommerce Distance Rate Shipping, Page Builder WooCommerce Add-On and WooCommerce Currency Switcher. are saved in cookies so that when a customer returns to a page they can see the options they selected. The options can be reset after adding a product to the cart. Add checkout options on the checkout page. If you would like to edit products and product options using Page Builder, you should also buy Page Builder WooCommerce Add-On. * Updated to not display the options sku when product options do not change the options sku. * Updated for latest version of php. * Prevented extra html from displaying in image upload options. * Datepicker options in translated sites improved. * Improved disallowing past dates on all websites. * Datepicker option required feature improved. * The checkout options have been improved. * The currency symbol on the range of prices on variable products now displays on both prices. * Range of prices on variable products improved. * Product option group custom query improved. * New feature - Hide unselected product options. * Image options changing thumbnails improved. * Updated after testing without Gutenberg installed. * New Feature - Build products with options using Gutenberg. * Updated to be compatible with more third party plugins. * Implemented Envato Market WordPress Plugin to make updates easier. * Updated so that option skus are compatible with the latest version of WooCommerce. 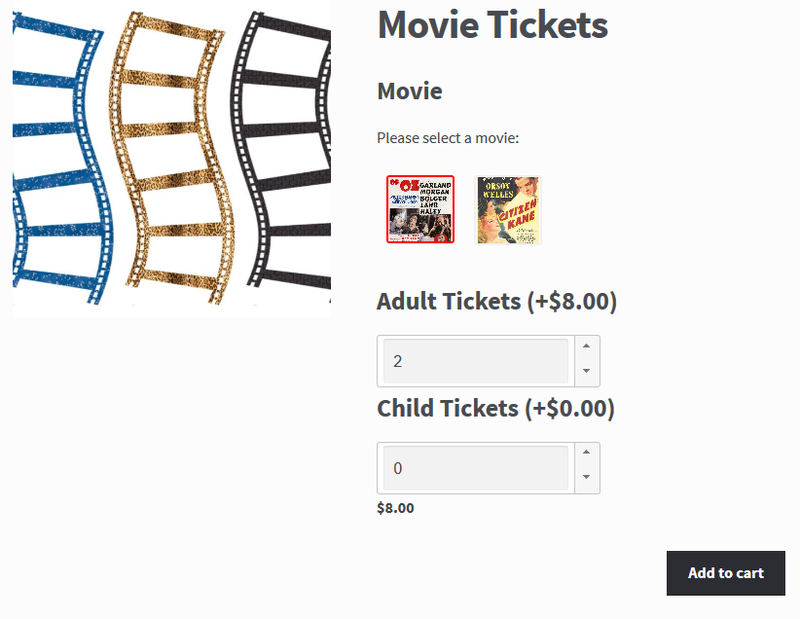 * New Feature: Added "show prices" to radio buttons/image options/dropdowns.